CFI’s Financial Analyst Training Program is designed to help anyone obtain the skills they need to become a world-class financial analyst. 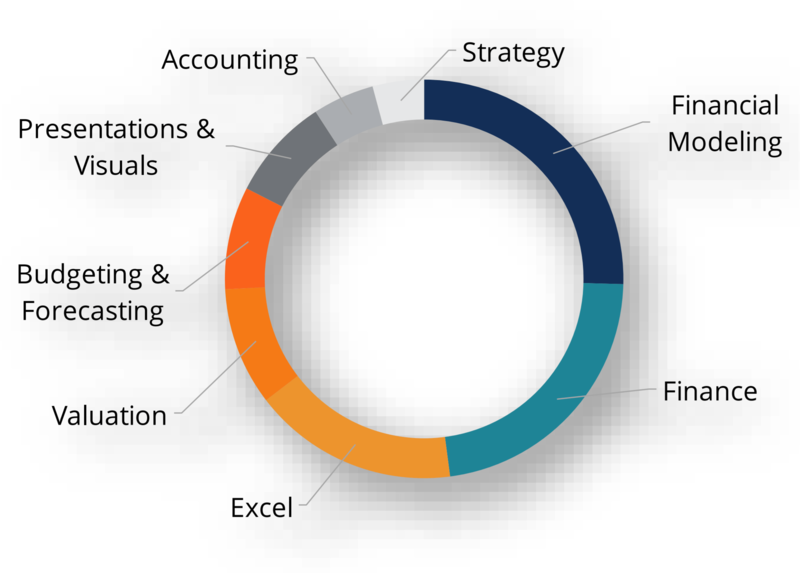 CFI’s training program includes 25 courses that cover critical financial analyst topics such as accountingAccountingPublic accounting firms consist of accountants whose job is serving business, individuals, governments & nonprofit by preparing financial statements, taxes, financial theory, financial modelingWhat is Financial ModelingFinancial modeling is performed in Excel to forecast a company's financial performance. Overview of what is financial modeling, how & why to build a model. A 3 statement model links income statement, balance sheet, and cash flow statement. More advanced types of financial models are built for valuation, plannnig, and, business valuation, Excel, PowerPoint, strategy, and more. If you want to sprint ahead of the competition and get the practical skills required to perform the job, then CFI’s Financial Analyst Training ProgramFMVA™ CertificationThe Financial Modeling & Valueation Analyst (FMVA)™ accreditation is a global standard for financial analysts that covers finance, accounting, financial modeling, valuation, budgeting, forecasting, presentations, and strategy. may be the perfect fit for you!